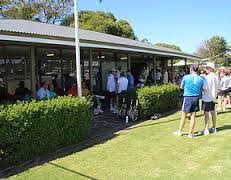 Lawns Tennis Club as they have finally connected to GAP water. Don and I have assisted them with this project over the last couple of years. Hopefully, the water will enable considerable savings in the cost of water to the club.